Agilent Technologies have introduced two new options for hand-held wireless measurements on their E6474A network optimisation platform, offering full drive test functionality to run on a compact handheld Ultra Mobile PC. The new hand-held solutions allow wireless service providers to make unobtrusive measurements in sensitive locations as they troubleshoot complex networks. The hand-held user interface is fully customisable and has complete compatibility with Agilent Technologies’ full laptop-based drive test solutions. Drive test projects and data files integrate with the laptop version of the E6474A drive test tool, providing instant compatibility for analysis with other collected data. According to Agilent Technologies, their Ultra Mobile PC solution offers features such as visualisation, processing power and usability for RF engineering teams requiring a compact light-weight solution along with a full drive test system. 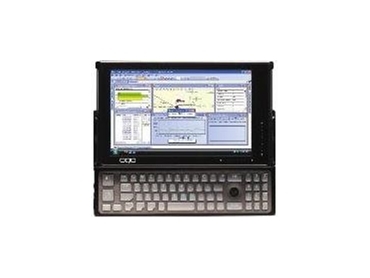 The E6474A UMPC handheld solutions from Agilent Technologies are available with the E6474A-800 Drive Test Handheld HSPA/UMTS/EDGE/GSM License and E6474A-810 Drive Test Handheld 1xEV DO/cdma License options.